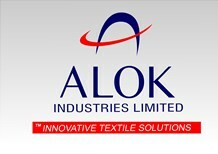 At Alok, product quality is of paramount importance; it is also one of the reasons why our products have gained acceptance across seventy countries and some of the world's most demanding customers. 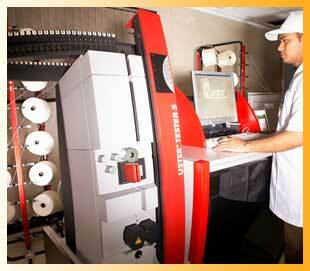 Testing for adherence to quality parameters is, therefore, an integral part of the manufacturing process at Alok. To ensure that our products conform to the highest quality specifications, we have set up a number of laboratories at our plants, with state-of-the-art testing equipment. At our Spinning plant, Alok tests for raw cotton properties like length, strength and colour fastness, short-term variations and imperfections, yarn elongation and yarn count. The list of equipment at the testing laboratory is given below. In addition, we have also installed a twist tester for checking amount of twist in the yarn; a trash separator checks the level of trash in cotton. Apart from this, the laboratory is backed with LUWA air conditioning systems to maintain international testing atmosphere for textiles as per ISO 139:2005. The two laboratories at Vapi are designed for testing home furnishing fabrics and apparel fabrics, as well as knits fabrics. The equipments installed in these laboratories are from world leaders such as Mathis, James H. Heal, U.K., Whirlpool, IFB etc. Colour measurement is conducted through Datacolour 600 plus CT machines, Colour Eye 7000 A from Grateg Macbeth, USA and a 3-auto colour dispensing system from Datacolour. In addition, the following testing equipments are also installed. Total physical conditioning plant from M/s LUVA.